Greetings all you hep (not HIP) cat fellow ASLer's! It's time to park the lead sled, stop quail hunting and instead focus your audio on our far out offering. We've got a really cool show today that's guaranteed to give you bright disease. We start our usual off-the-cob chit chat accompanied by Jeff on his cool bongos. 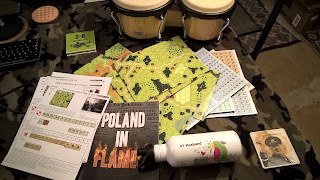 It's slated for crashville until Daddy-o Dave whips out his copy of Poland in Flames from Bounding Fire Productions. This thing is bigger than Kerouac so listen up if you want to know your groceries. We don't blab any drab gab here. We patter what matters. No squares allowed. You dig? Then join the PAASL Club as they recount their scenarios played with some after action reports, including a thorough discussion of ASL35 Blazin' Chariots and Food Fight from The Journal. Oh yeah, and be sure to head over to RitterKrieg and spend a yard on ASL goods. No hanging paper please. 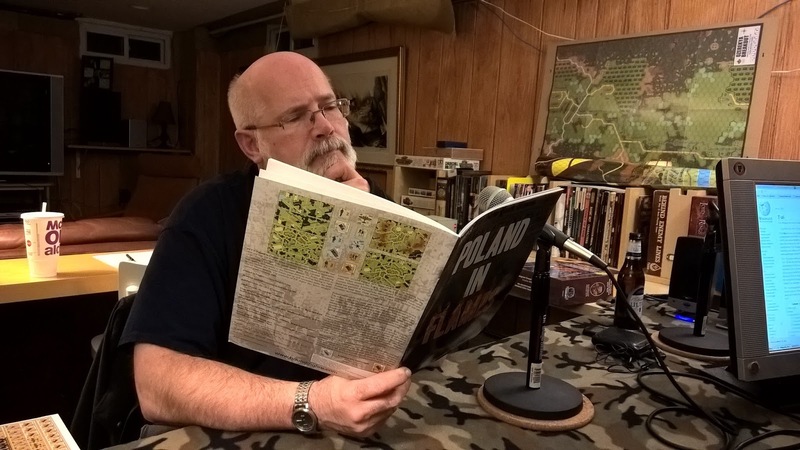 And hey, when you're done listening to this episode of The 2 Half-Squads, check out our new podcast, Spine and Sprocket a book and movie review program. There will be a lot of military history and war films, but also some sci-fi and fantasy as the mood hits us. 15:30 What's in the Box?